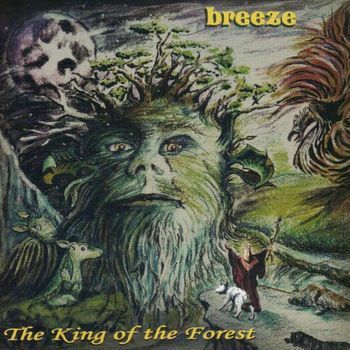 Breeze are a duo from Hannover consisting of Hansi Arnold on drums and vocals and Ottfried Mietzke on guitars, bass and keyboards. It would also appear to be the name of about 6,000,000 wedding bands in the UK and the US, making them very difficult to track down! Although they have been together since 2000 and are conceived as a recording project, they have some live pedigree and having issued some demo releases this appears to be their first official release with another planned for 2019. This is a sprawling sword and sorcery epic full of wizards and sylvan spirits. If you can get past the hey-nonny-no folkery of the opening track you will find some atmospheric, orchestral soundscapes which show a great deal of promise, although somehow fail to deliver anything really special, which is a shame because this is clearly a labour of love. Unfortunately the execution is undermined by prose-ridden, plodding lyrics and an uncertain vocal delivery which fails to convey any sense of drama, and certainly hits none of the high notes (literally). Even if you like modern dungeons and dragons inspired tales of fantasy worlds, which to be honest I don't, I can't believe that even the most ardent cosplayer would find much to admire in this tale, and by the time it came to the inevitable battle I had ceased to care who was fighting whom and why. I don't want to condemn out of hand, because there is some excellent musicianship on display, particularly some of Mietzke's guitar, and there are a number of pleasing arrangements, but the whole thing is just too long and should have been edited down to produce a tighter piece with more quality and less uneven. As it is the effect is too amateurish. The next release from Breeze is a foray into science fiction. Hopefully they have built on the experience of this production to create something more exciting and forward looking with an emphasis on quality. It is notable that Mietzke does not mention King Of The Forest in his list of credits although the next Breeze release is mentioned. Perhaps even he has his doubts about this one. In the meantime, where were those wedding bands? Don't Stop Me Now, anyone?